Socket weld steel bodies permit these valves to be quickly and easily welded directly into piping without the inconvenience of pipe threading or using bulkier iron-flanged valves with socket weld steel flanges requiring bolts, nuts, and gaskets. The cast steel body is rigid, reducing the potential for seat leakage due to flexing of the valve body under abnormal conditions. 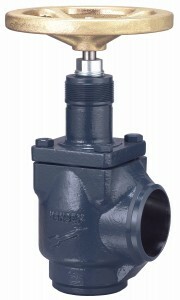 The “heart” of Hansen shut-off valves is the patented no-leak seal-plus-stempacking design. This seal design is used exclusively on Hansen shut-off valves and virtually eliminates stem seal leakage.